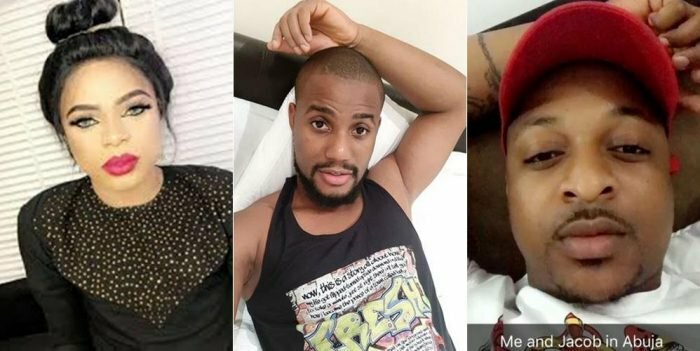 Just after the release of Bobrisky, IK Ogbonna and his good friend Alexx Ekubo recorded a funny video where he tried to mimic Bobrisky while Alexx was supposed to be his “Jacob” but Alexx wasn’t finding it funny at all. Lying on a bed, IK disclosed that he’s in Abuja with his “houseboy” Jacob. He then rotated the camera to show Alexx. “Jacob,” IK called Alexx in the voice Bobrisky uses to call his gateman Jacob but Alexx was not having it. “Stop now. If you wan abuse me, abuse me. Wetin be that one?” Alex fired back, sounding angry at first. Check out the funny skit IK Ogbonna made acting Bobrisky while Alex acts Jacob. Even ,though Alex refused to play the role of Jacob upon all IK’s attempt to persuade him into the character.